The medieval port city of Dubrovnik, a UNESCO World Heritage Site, has been undergoing a planned reconstruction, aiming to restore the city’s pre-war appearance and recreate its original architecture. Reconstructing the old tends to ring alarm bells for me, running the risk of creating a pastiche of the past. 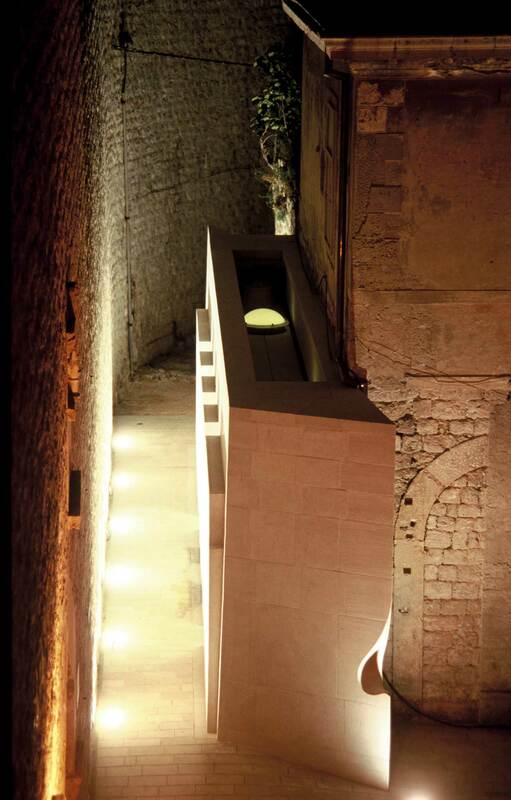 Nenad Fabijanics small intervention does this with sympathy and understanding towards the historical buildings surrounding it, while managing to be modern at the same time. 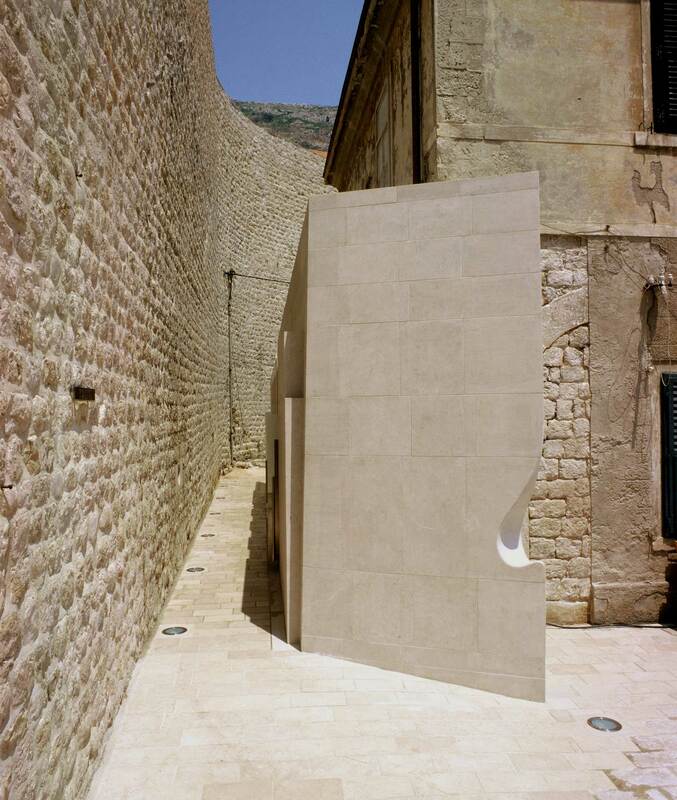 This public toilet, completed in 2002, is located between the medieval town, with its narrow gridded streets, and the harbour. 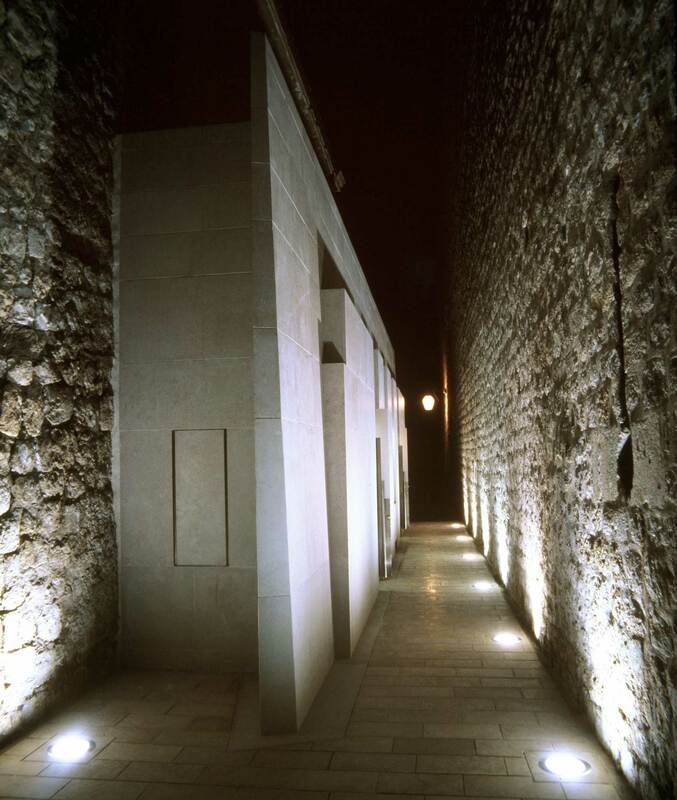 Built adjacent to the Austro-Hungarian era port authority building, it defines a new path along the fourteenth-century city walls. This is a simple and understated, yet luxurious, structure. Measuring only 22 m², the plan is long and thin (1,70 x 12,48 m), and the materials used are sympathetic to those of the surrounding buildings. 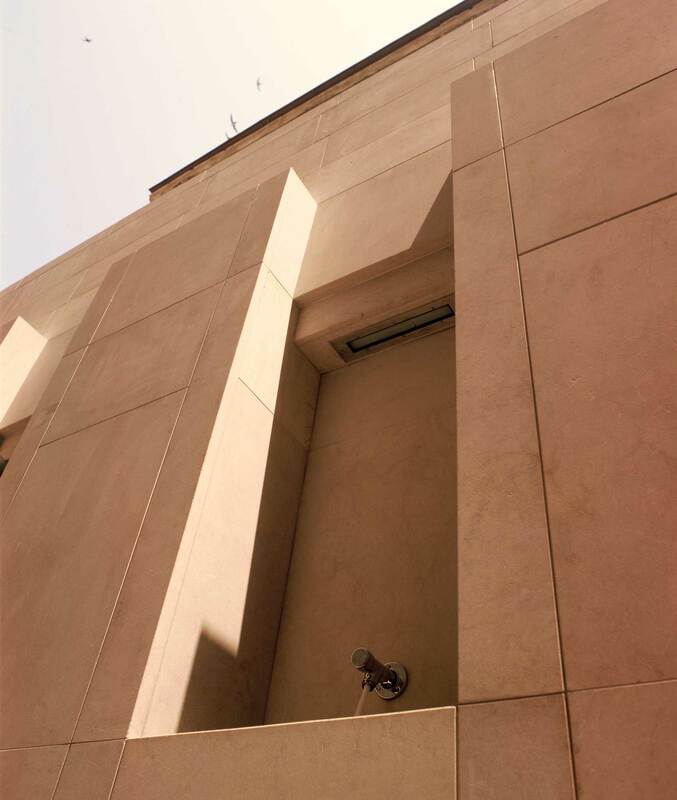 The in-situ concrete structure is clad in local sandy limestone (Dalmatian Autochthonous stone), smooth and polished in contrast with the rough stone of the adjacent building. 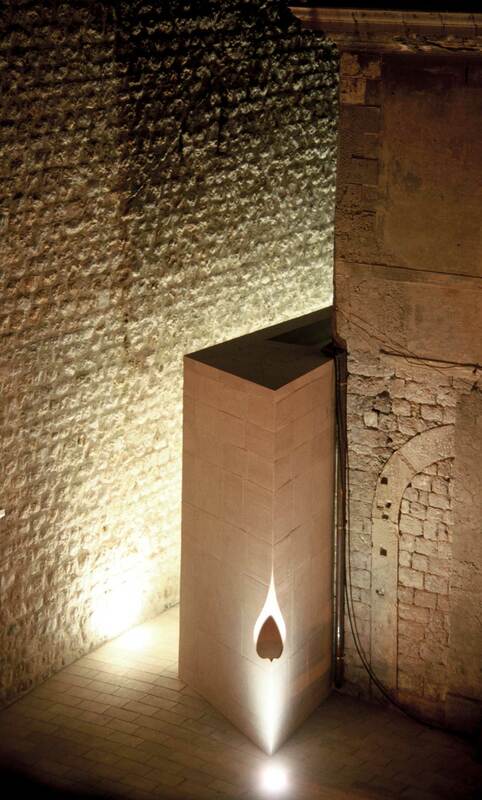 Floor-sunk spotlights illuminate the open-air corridor outside the building. 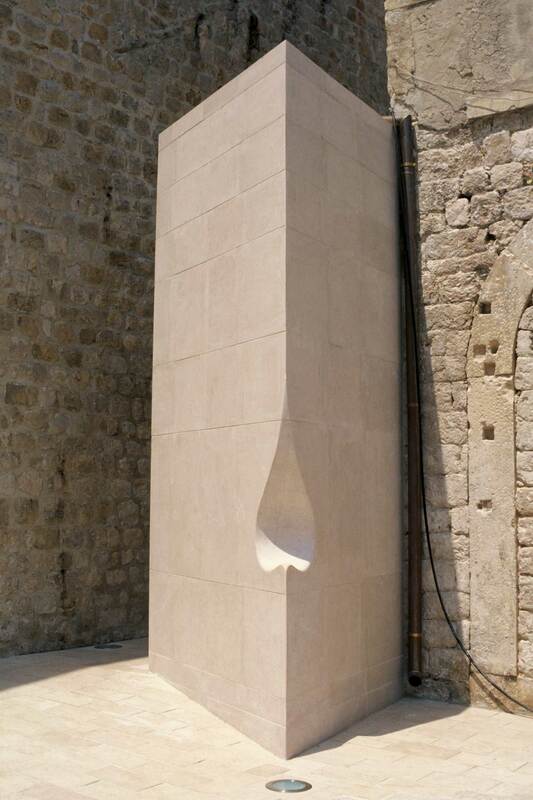 Its linearity is interrupted by a sculptural curve cut into one end of its sharp protruding corner, resembling a big drop of water. 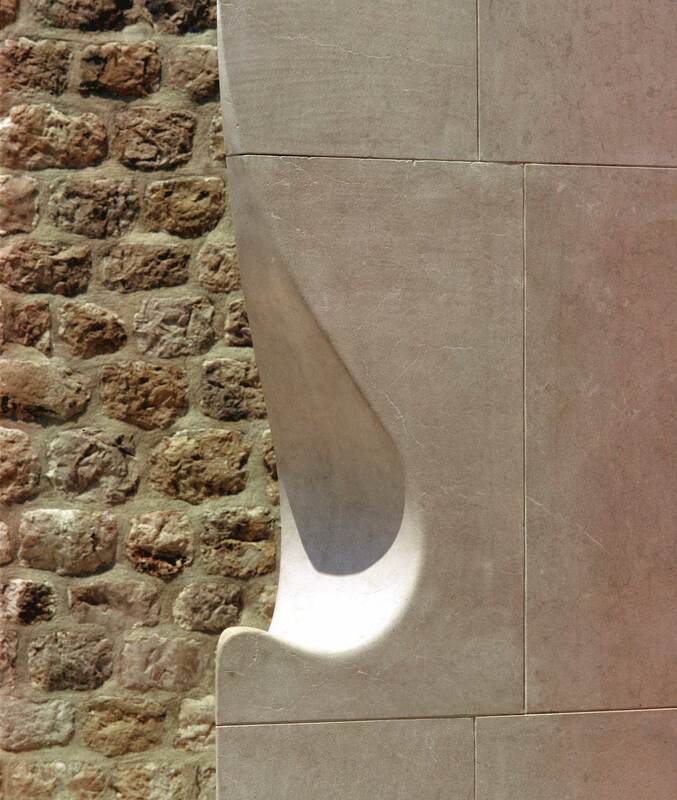 Two niches subtracted from the long wall contain drinking fountains. Inside, the walls are covered in black Angolan stone with stainless-steel doors and fittings. 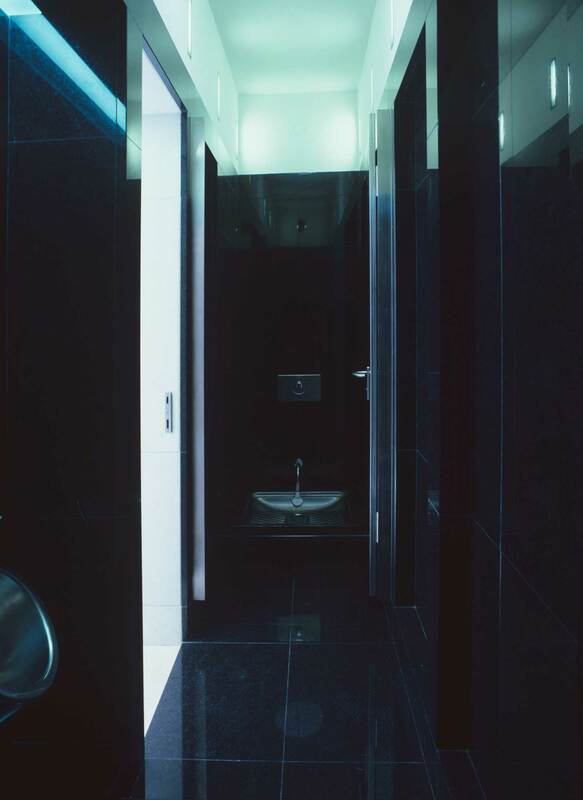 The toilets are illuminated in daytime by skylights. Hi, tnx for the post. beautiful architectural solution! This solution reminded me of what architect M. van Roosmalen did on the Rijksarchief Limburg in Maastricht (Netherlands) a Gothic church which he redesigned as an archive, where he had the same historical-modern approach. .
great, thanks! I’ll look into that.